Many of you know that Elaine of Foodbod has created a fun series of posts called “What Would You Feed Me”. If you or your dinner guests are vegan or can’t eat gluten, you should run to her site, here. Elaine has challenged all of the guest bloggers to create a vegetarian, sugar free and gluten free meal for her. Each week, Elaine’s feast is growing! The table is piling high with sumptuous, healthy dishes that have us all drooling. Here is what I prepared for Elaine. 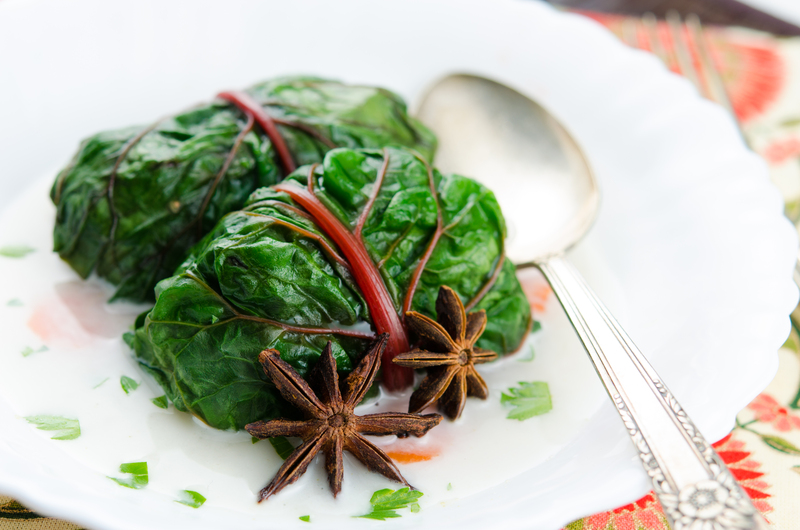 Colourful swiss chard leaves are steamed and then filled with a rich, creamy black rice and coconut milk combination. They are served in a wildly fragrant coconut broth accented with ginger and anise. I really hope that Elaine loves the dish I have made for her. Please visit her post for the recipe, and while you are there check out the myriad of eye-popping, delicious recipes she creates. Haha! So very glad that you like what I cooked for you! I would hate to invite you to my house to discover that you disliked what I had cooked! What a faux pas that would be! Have a great week, Elaine!! I totally get that! But you know, they will probably thank you when they get older, for expanding their palate! These look sooo good and I can imagine their enticing aroma with anise and ginger! This broth was a revelation to me. I want to use it in some other recipes for sure. Absolutely beautiful – what great colours. They sound so fragrant. Wowness! Looks at the colors. First of all i must say about the presentation and photography. Looove it. Soo good and professional. The recipe is so unique. Im sure it would be flavor packed. Your comments are “wowness”, Sadia! You are too kind! Your photography inspires me!! But yes, the flavours in this dish are pretty wonderful! I was hoping she would be OK with the Asian flavours, and it seems like she likes them! Phew! 😀 Glad you like the photos! This is awesome Chef! Hopping over to Elaine’s!! I’ve never has swiss chard before. You sure made a gorgeous dish with it. We are too! I will give it a try. What an absolutely gorgeous dish!…so vibrant…amazing! I must be in heaven!!! What a wonderful combination of flavours, Julianna! 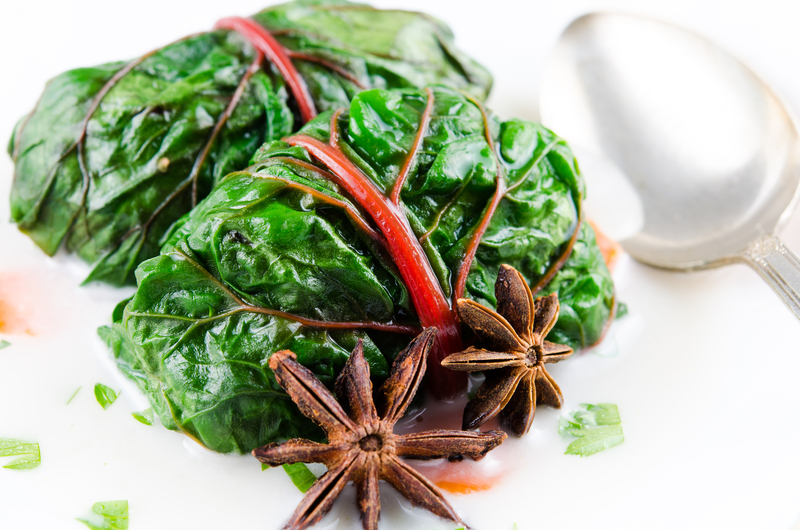 Appetizing and fancy swiss chard packages, love them!